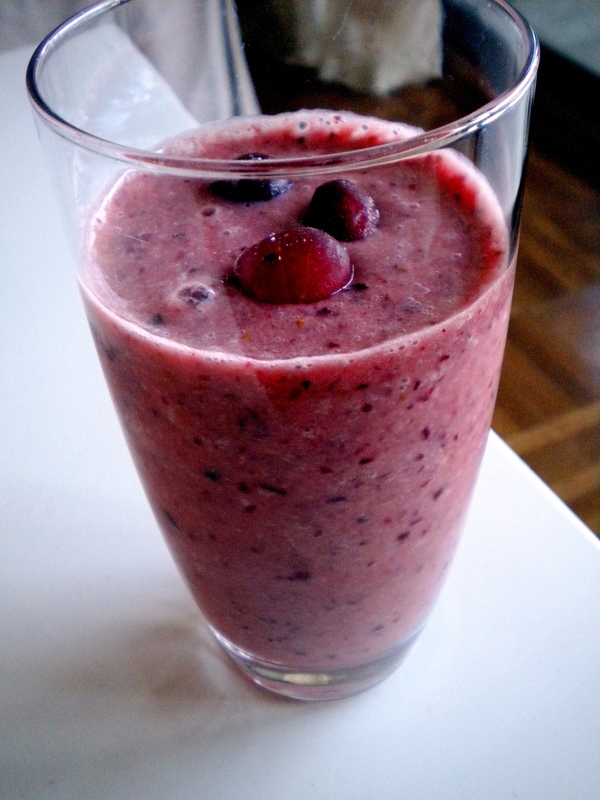 It’s December but it’s never too cold for a smoothie. Ice cream too is best enjoyed, I think, while sitting inside when it is snowing or really cold. There’s something so cozy about it! So when I had these extra cranberries from Thanksgiving, it seemed so natural to pop ’em in the blender and start my day off right. Just a note of caution: the ratios of ingredients are all estimates. I usually just pore everything in blender and tweak it from there. 1. Pour cider and yogurt in blender first. Then add cranberries and honey. Blend! Thanks Tinky! Have a great day! OOPS! I have no idea why I typed “Deb”; I know you’re Emily. Can one have a senior moment at 39 and holding? Sorry……….